The origin of vegetarianism is as old as the history of the world itself, and probably from time immemorial there have been sects which have practiced vegetarianism, either as a religious duty, or under the belief that they would render the body more capable of performing religious duties. In the year 1098, or two years prior to the date of Henry I., there was a strictly vegetarian society formed in connection with the Christian Church, which lived entirely on herbs and roots, and the society has lasted to the present day. There are those who adopt a vegetarian course of diet on the ground of health. Many maintain that diseases would disappear were vegetarian diet strictly adhered to. And there are those who adopt vegetarianism for the sake of the animals. In this 250-page book, we have endeavoured throughout to give chiefly directions about those dishes which will replace meat. But it is in dealing with soups, sauces, rice, macaroni, and vegetables, sent to table under new conditions, that we hope this book will be found most useful. Those who really understand such matters will know how vast is the difference in flavour occasioned by the addition of that pinch of thyme or teaspoonful of savoury herbs. There are very few persons, unless they have made vegetarian cookery a study, who are aware what a great variety of soups can be made without the use of meat or fish. 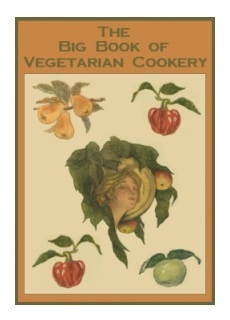 There are hundreds of vegetarian recipes in this book that you will find delicious and healthy and, for the most part, can be made rather quickly.